In this special guest blog, Professor Sonia Blandford and Anne Cameron from charity Achievement for All respond to our recent report on education and youth homelessness. A strong sense of belonging is integral to our core strength and a sense of self-worth, a robust protective factor which steadies us when we face challenging and difficult circumstances. For many young people as they enter care, the foundations of their sense of belonging are shaken. For whatever reason, they’re effectively told that the only home they know is no longer the best place for them. Combined with the effects of the chaotic or troubled family life they’ve experienced up until that point, this can all create a perfect storm for poor mental health, which can present both at the time and later in life. According to statutory guidance published in 2015, almost half of those in the care system have a diagnosable mental health disorder. Despite being four times more likely than their non-looked after peers to have mental health issues, they too often wait unacceptably long for good quality mental health assessment and care. England’s children’s commissioner Anne Longfield has said that there should be “a presumption” among those working in the sector that all children in care should receive support for their mental health but this is yet to be the case. Consider also that international research confirms the high risk of social exclusion for young people leaving care. We know that they are statistically more likely to have lower educational qualifications, more likely to be NEET, to be young parents, to find themselves homeless and to have high levels of unemployment. The complex interweaving of all these risk factors and more means that the support they receive needs to be well integrated, timely and consistent both whilst in care and as they prepare for and transition into adulthood and independence. Our focus as professionals must always be on their strengths, their abilities and their aspirations. With the right support at school and at home, children in care and care leavers can build happy, stable and successful lives just like anyone else. As LKMco’s Place to Call Home report highlights, links between mental health and homelessness are well known, as are the potential outcomes of unmet mental health needs for young people in the care system. Public services are under increasing financial pressure which means we need to fight more than ever for our looked after children and care leavers to get the support they need, as we would for our own children. Whatever the specialism, be it in education, health or social care, we must each see it as our place to stand up and champion the rights of the most vulnerable children. Whilst young people are looked after by the local authority it is a great opportunity for them to be fast tracked for the targeted support they need to start to level the playing field and help break the cycle of a troubled childhood leading to poor outcomes in adult life. Care leavers who don’t have the right support are vulnerable to poor life choices and exploitation in a bid to find their tribe, to fit in and create a sense of belonging that is often lacking. As an education charity, Achievement for All works with early years, schools and post-16 settings around the country. We hear inspirational stories of educators doing amazing things to nurture a sense of belonging and well-being and it’s the little things as well as the big things that help make that happen. An 18th birthday party organised by college staff for a care leaver going off to University. A ‘memory box’ created by a school for a year 6 boy who had had multiple care placements and was preparing to transition to secondary school. The Tope Project, led by care leavers as a way of making sure that care leavers don’t have to be alone on Christmas Day. Coffee mornings for foster carers to help build that support network at the school gate. All these little things make a big impact on core strength and a sense of belonging. The idea that it takes a village to raise a child resonates with most of us and schools and educational settings are in a unique position to provide children and young people with a consistent haven of nurturing and support which contributes holistically to their healthy development and well-being. This all comes with a crucial commitment to utilising and valuing vulnerable students as a resource to create a diverse, tolerant and inclusive school, rather than allowing them to be seen as problems to overcome. Needs must be picked up early and teachers trained to meet them, with a focus on outcomes. And these include wider outcomes like friendship – an undervalued but vital result – which can help children get the qualifications they need to progress confidently when they leave school. Inclusive settings bring children – cross-class and cross-ability – together. Making sure that the school itself doesn’t, even if inadvertently, build barriers to social mobility by separating children or leaving them out of those activities too easily left to or dominated by the higher achievers – those theatrical or musical performances, arts displays or sporting events. Outside school we know how valuable those activities are – how every child’s life can be enriched and emotional intelligence promoted by helping all children play and work together. Teachers can and often do take on the role of corporate family alongside any other professional who works with a young person in care. Research and experience tells us that schools and teachers believe they have a duty to help identify and support pupils with mental health problems and that they understand that children who are looked after have experienced trauma that can affect the way they interact and learn. All too often though they feel woefully under-supported to provide the help and intervention needed, despite the best efforts of virtual schools and social workers. When young people enter the care system, the local authority takes on the role of corporate parent and we know that the role of parent never truly ends. The ongoing responsibility to provide a supportive, loving, nurturing environment which gradually recedes but stays present as they transition into adulthood is so important. Every young person is different, with their own set of hopes, fears, dreams and ambitions and some will naturally need more support than others. Getting the balance right is a challenge for any parent corporate or otherwise and must always be child led to meet each particular set of need and circumstances. Sonia Blandford, Professor of Education (UCL), is founder and CEO of Achievement for All. Anne Cameron is the LiFT and Children Looked After Programme Manager at Achievement for All. 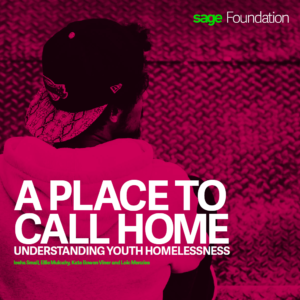 A Place to Call Home, by LKMco and the Sage Foundation explores the causes of the youth homelessness crisis, how this links to education and how we can all respond. Improving Outcomes for Children Looked After is a toolkit for schools in produced by Achievement for All in partnership with The Fostering Network, which is freely available to all schools. Born to Fail? 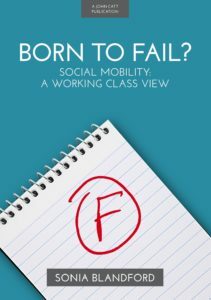 Sonia’s recent book provides an alternative way of thinking about social mobility, which, by showing what is right, creates opportunities for all.